So, who was the creator of this wonderful model? George was born in 1879 in Wales, UK and lived in Llanelli where he learned the art of stone cutting and engraving from his father, George Henry Lloyd. George Llewellyn Lloyd followed the family trade of Stone Masons and Monumental Sculptors and specialized in typography and drawing to perfect his craft. During his career George worked on buildings such as the Cardiff Civic Centre and the British Museum. In 1907 he emigrated to Canada where he also worked on the House of Parliament buildings in Ottawa, which were being restored following a fire in 1915. Cathedral of Saint John the Devine – New York – The largest Neo Gothic Chapel in the world. 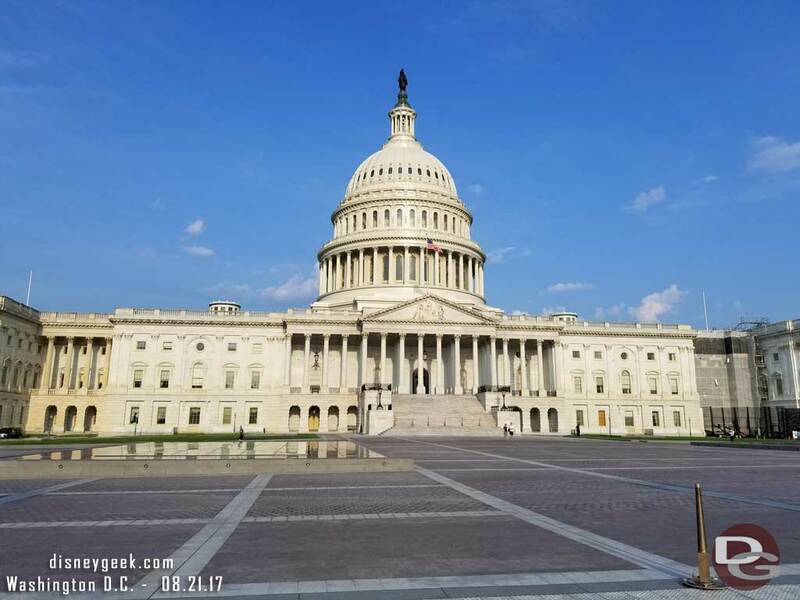 In 1921 George decided to visit the Capitol building in Washington. DC. This visit made a distinct impression on him and inspired him to create his own model of the building. 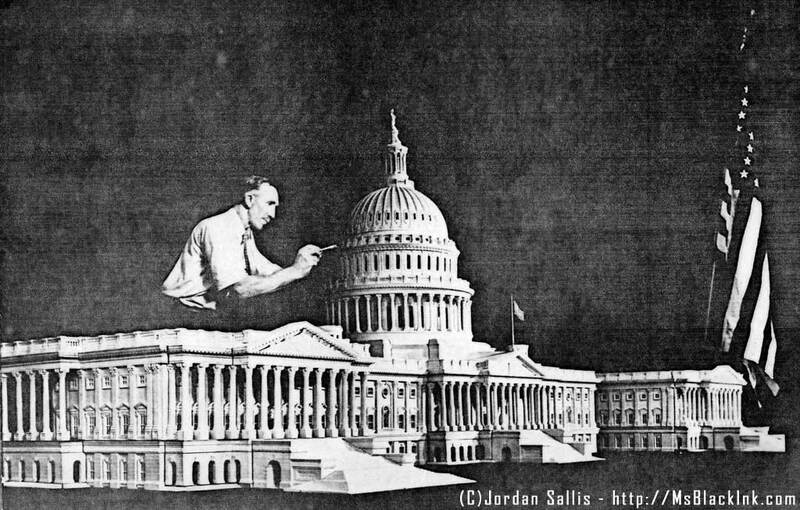 George wanted to create an exact replica model of the Capitol Building but would need support of an architect named Mr. David Lynn. David was very interested in what George was proposing to do and gave exclusive access to photographs and blueprints of the building, which subsequently ensured the accuracy of his model. Late in 1929 collapse of world trading markets and the subsequent Wall Street stock market crash undermined economies around the world. As a result, work was hard to come by and unemployment was a major issue and peaked during 1932. During the Great Depression over 12 million people lost their jobs averaging around 12,000 people were becoming unemployed every day. Because of the impact of the economic collapse many people lost everything they had. George found it hard to find work during this terrible time, so he needed to do something to keep his spirits high and keep him busy. 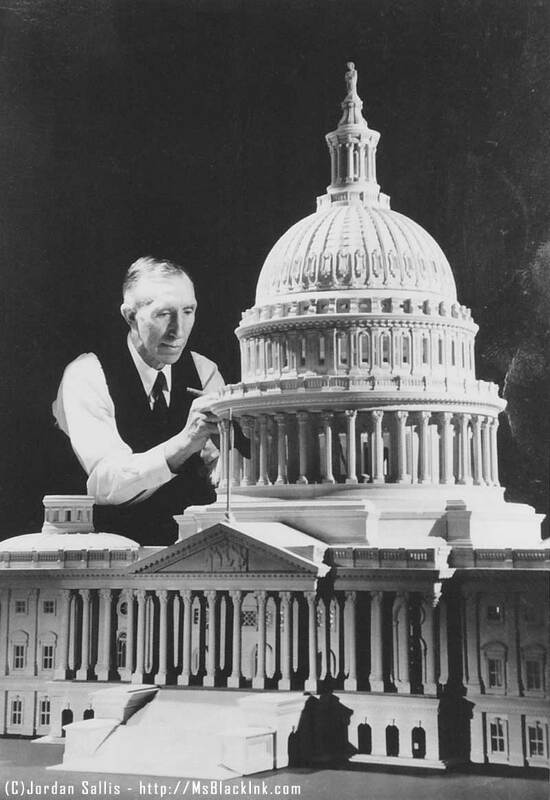 George started creating the Capitol model in 1929 and recorded that having met with architect. David Lynn, he felt inspired to construct the model. David Lynn would prove to be essential for George by providing the necessary blueprints and measurements of the Capitol Building. The Depression era made paid work hard to come by and it was this that drove George to focus on something positive rather than the depression surrounding him. The scale he envisioned for the building was set at 3/16 inch to the foot. The stone he chose for his model was French Caen Stone, light creamy-yellow Jurassic limestone quarried in north-western France near the city of Caen. The fine texture of this stone allowed George to carve very detailed and fine lines in the model. This particular type of stone gives the finished work a rich, warm colour and texture of natural stone. George stated that the softness of the Caen stone was about four degrees harder than chalk. He worked up to 16 hours a day on the model until it was complete. The model was complete in 1935. At Minneapolis in 1940 the first exhibition of the model took place at the World Trade Fair before the model embarked on a tour of America, which included the cities of Detroit, San Francisco and Los Angeles. Two well-known celebrities of that time, Charlie Chaplin and Mary Pickford, went to admire the exhibition of the model and met with George. The model was being exhibited in Los Angeles when Walt Disney came across it in 1955. He wanted the model to join his other displays in the new theme Park he was creating, Disneyland in Anaheim, California. George had the model photographed and then sold it to Disney. The model has now been part of the preshow area for the Great Moments with Mr.Lincoln display for many years. It is unknown how much money Disney paid for the model, but it is known that George lived off the proceeds until he died in 1962 at the age of 83. Putting his earnings from the model into a pension ensured financial security for George and his family. 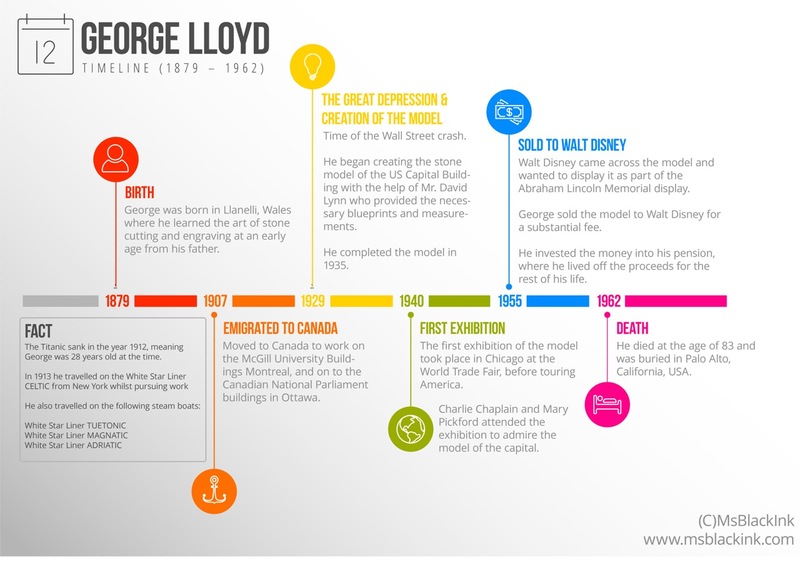 However, relatives of Mr. George Lloyd were disappointed when he died. They had been hopeful they would receive a large financial legacy when he passed away, but because all of his money had been invested into a pension, the remainder of that money that was lost when he died. George was buried in Palo Alto in California, USA. The model is on display in the lobby of the Main Street Opera House at Disneyland in Anaheim, California to this day. 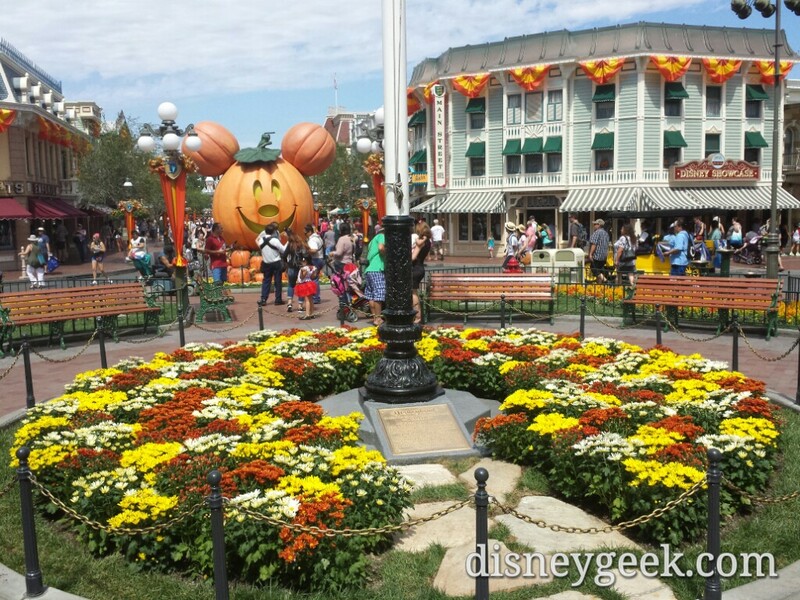 It is in the pre-show area for the Great Moments with Mr. Lincoln attraction. Under the listing “U.S. 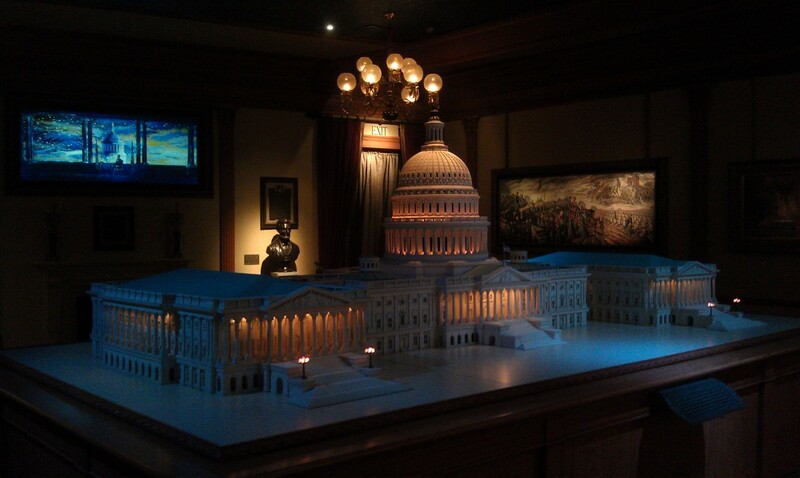 Capitol in Miniature”. The fact that I have a familial link with George Llewellyn Lloyd has made a significant impact on me, my work and life. Being a trained artist myself, I admire the determination he showed, against significant financial hardships, to make a living in his creative avenue. His hard work, combined with passion and craft, is something every artist needs in the often-rocky path in a creative career. It could be argued that during the 19th century, pursuing an artistic career would have been more difficult that it is at present. Having to travel to different locations in search of work and advancement was certainly more difficult in those times. George Llewellyn Lloyd is a role model to me in many ways, but especially the connection of a shared hometown is something I reinforce in my own art career. If George could make a career within the arts from his hometown, it is possible, with hard work, determination and skill that I may be able to do the same. 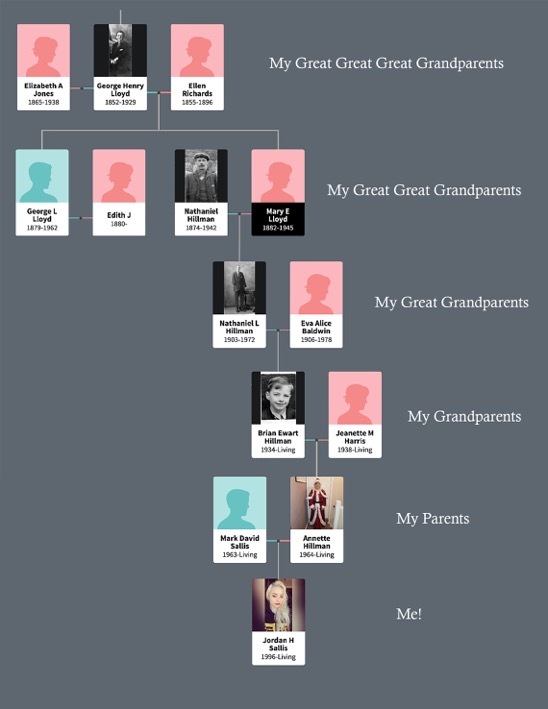 Through my research and the power of the internet I have reached people such as Mike Westby, author of several books (www.Disney-Secrets.com), Jason from DisneyGeek.com and tracked down relatives of George who have helped me to get a more detailed understanding of my Great Great Great Uncle, George Llewellyn Lloyd.